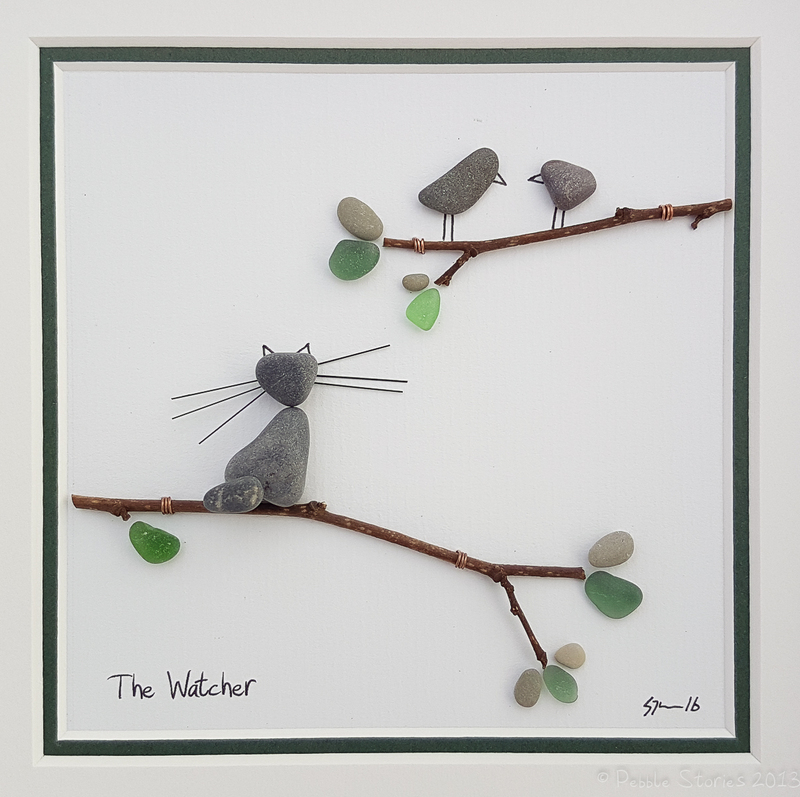 The Watcher is another very popular piece from my Cat and Kitten collection. 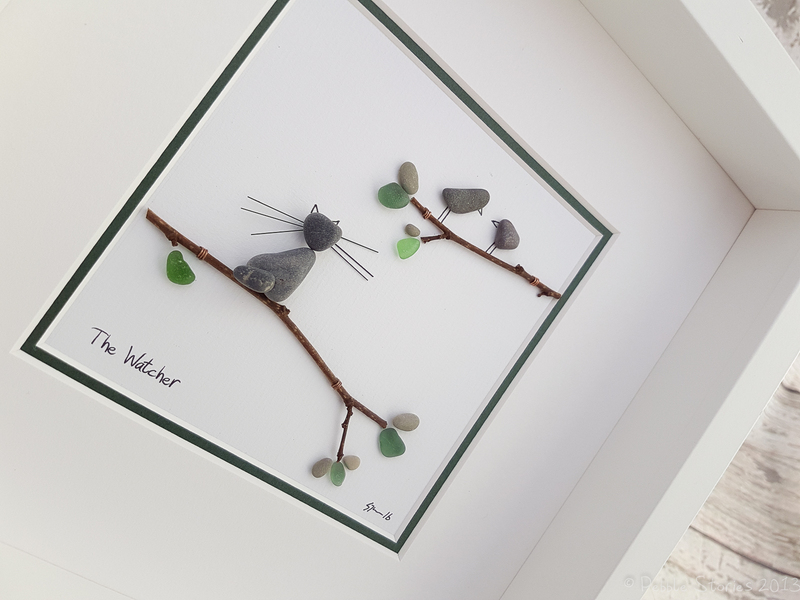 I like to work with natural materials, bringing life back to the ordinary and discarded. 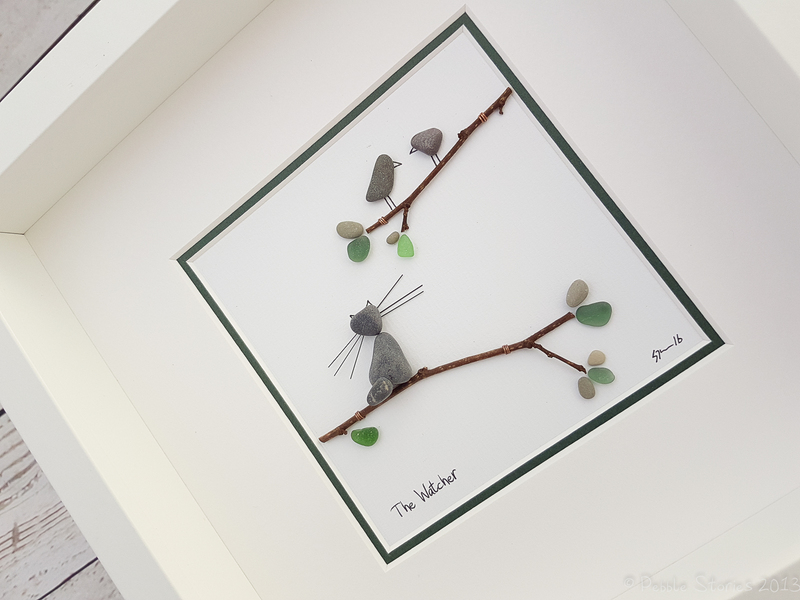 For this commission, I work with genuine sea glass, beach pebbles, branches.